Drowning in paper? Is it costing you more just time and money? Then QicForms is for you. QicForms allows you to create your own digital forms without having to write a single piece of code. Or take up 152HQ’s introductory offer to load your forms for you AT NO COST. QicForms is a cloud management system and companion app that utilises the latest in user friendly technologies such as drag and drop, barcoding, business intelligence and workflow automation, giving you time to focus on what matters. You can even watch your team’s statistics and performance live from our intuitive dashboard. 152HQ is looking for foundation members to get on board with our team to help test the QicForms platform. 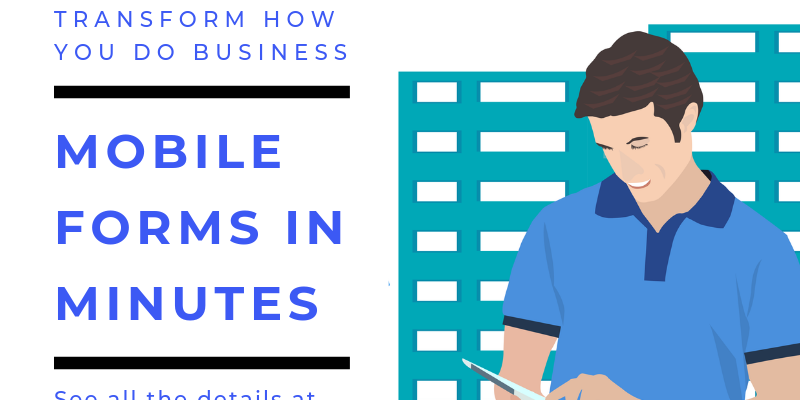 If you are a small to medium enterprises with 10 – 150 employees, who is tired of the inefficiencies of paper systems, then you need QicForms. Have your existing paper forms loaded into QicForms and deployed to your staff instantaneously. as well as help with testing of new modules and/or features. The QicForms Foundation Member program has been designed to take all the hard work and effort associated with software integration, away from the business owner. Our dedicated team of software integration specialists will be with you every step of the way. QicForms allows you to create your own digital forms without having to write a single piece of code. QicForms is part of the QicWorks Group. Visit QicWorks.com for more information. Capturing safety data from the field just got easier with 152HQ’s Take2 system. 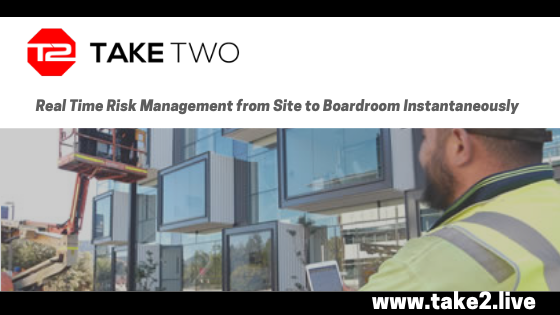 Take 2 – The real time safety risk management system, managing risks from site to the boardroom instantaneously. Based on the principle of SWMS (Safe Work Method Statement), the Take2 mobile application is an informal digital risk management tool designed to guide personnel in the identification and control of hazards, prior to task commencement. DO THE TASK SAFELY -When confident that all hazards have been adequately controlled, proceed with the job. Coming from a construction background, we have seen numerous occasions where undertaking mandatory Take2’s was becoming a “tick and flick” exercise with no emphasis on onsite safety awareness or incident prevention. We needed to take Take2 from paper to digital to reinvigorate participants, gain continuity and substance, while alerting stakeholders in real time when and where hazards have been identified. Take2’s robust build has been designed for trades; with large buttons, Voice to Text, GPS technology and multimedia uploads. The mobile application automatically date, time and location stamps the Take2, ensuring authenticity, as well as auditable data. Once a Take2 is completed it is simultaneously emailed, with a pdf version, direct to the user (and supervisor, if specified). For single user accounts it is free to download, with up to ten (10) Take2’s automatically saving direct to the User’s device. No training is required. Take2 provides a clean, intuitive and easy-to-use App interface giving you a great user experience. View and manage your team’s Take2, with real time hazard locations identified on your dashboard map. Have flexibility to turn hazard ratings off, turning Take2 into an audit or job checklist tool. Our point of difference is that the Take2 web management system enables safety data sharing to occur in real time, directly with all stakeholders. Data accuracy, consistency and standardisation are no longer an issue amongst our data sharing formats, allowing for easy record auditing and conformity of information. The cloud management system allows safety professionals and managers to review and even re-evaluate the risk (without altering the User’s original risk rating), implement additional resources, controls or changes, identify new or reoccurring trends and training opportunities, as well as assign or close out risk corrective actions. demonstrate to others (regulators, investors, company stakeholders and others) that risks are being managed. Take2 turns any smart device into a safety tool. It allows Users to pass onsite experiences, knowledge and ideas direct to key stakeholders who collectively are able to identify all operational hazards, choose effective control measures and positively enhance their safety performance. Have project or operational visibility, as well as house audit and safety compliance documentation all from within the one location, with Take2. 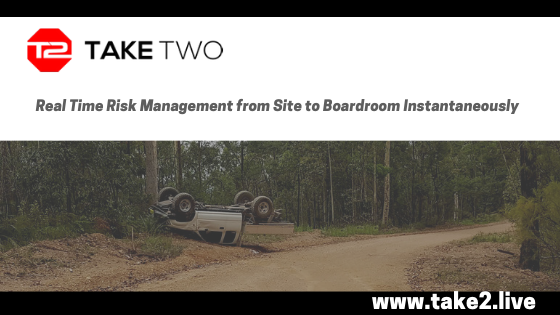 Take2.live is a real time safety risk management system, managing risks from site to the boardroom instantaneously. Take2 is the only safety tool that is completed at the work front, which makes us STOP and THINK prior to commencing work. Take our free 30-day trial today! Include safety as part of your daily tool kit, by turning your smart device into a safety tool. Record identified hazards and implemented controls, at the workfront, in real time. Take2 ensures WHS compliance. Visit us at www.take2.live or call us on 1300 965 192 for further details. This month we are celebrating data sharing at Take2.live. We all know that risk registers are used to gather information about identified hazards and risks, their nature and level of impact to the business, as well as document immediate corrective actions. What is often over looked is the fact that a risk registers are more than just handy lists. They are tools that capture and enable a systematic approach to risk management. Risks can be identified through by a number of different means. From brainstorming in the boardroom right through to mini risk assessments undertaken by individuals or teams in the field. Once a risk has been identified, risks are rated on the likelihood of an event happening, as well the consequence should an event occur. Risk ratings in turn are then used to highlight high risk activities, as well as prioritise response or investigative actions. They are then used to ensure adequate measures are undertaken to monitor and maintain control over the identified risk. Risk ratings also help determine which hierarchy of control to use when mitigating or controlling the risk ie elimination, substitution, isolation, engineering, or administrative. It doesn’t end there with Take2. After a risk has been identified, rated and controlled (if required), Take2 will automatically transfer the risk’s details to the risk register. Here managers are able to review and even re-evaluate the risk, implement additional resources, controls or changes, identify new or reoccurring trends and training opportunities, as well as assign close out or corrective actions. Risk registers are so much more than just lists of issues.They are used to offer project or operational visibility, as well as house audit and safety compliance documentation all from within the one location. 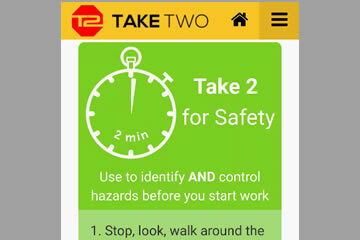 Take2 has help to identify over 10,000 safety hazards at the work front, and is now due for some routine maintenance. Do you have an idea that will improve or enhance your Take2 experience? Call us on 1300 965 192 or email info@152hq.com. We would love to hear from you. Do you feel that completing checklists is a tedious and time consuming task that distracts you from the “real” task at hand? What if 152HQ could transform your checklists into something you look forward to completing? 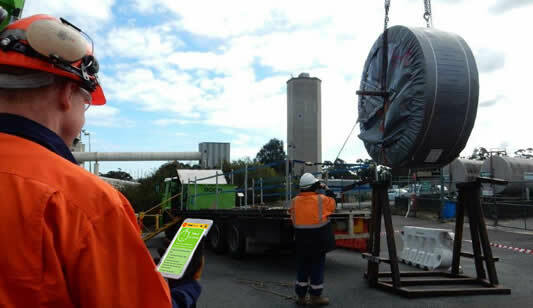 November saw the release of a number of upgraded features roll out for our Take2 risk assessment system. The team at 152hq have been working in conjunction with our Take2 clients to ensure all their hazard identification needs are covered. You can now customise your question sets to include or exclude the risk matrix functionality. This function now allows our Clients to create customised checklists, for questions that require a simple yes/no response. This upgrade does not impact on your ability to upload photographs, documents and notes. Simply create a question set within your hub and turn the risk matrix functionality off.